The goal is to make a static map highlighting certain streets in a city that usually have high traffic (for example, highways and main roads). red for high traffic streets. I have the data of average yearly traffic for these streets, which I have classified into low, medium and high traffic segments, in MS Excel. I am new to visualization. I tried to search this online on various platforms but have no luck as of yet. Any suggestions to what I might try/look at will be useful. I am using QGIS 3.2. Sumedh, I hope you have already merged/connected your road shapefile with Excel data. And now I expect you to have the road network with an attribute "average yearly traffic" in its Attribute table. Something similar as you can see in the image below, where I do have "AV_Y_TR" = "average yearly traffic" values (I used probably wrong dimensions but anyway). In this menu, you will be able to play around with visualization properties and classification rules. Styling road maps with QGIS? P.S. And indeed this should be covered in most introductory QGIS tutorials, as was mentioned by @Spacedman in his comment. Not the answer you're looking for? Browse other questions tagged openstreetmap qgis-3 classification road or ask your own question. Generating polygons with streets as borders using QGIS? What can I do in Mapbox Studio with the osm_id number for #buildings from Mapbox Streets? Importing OpenStreetMap historical data with ogr2ogr? Merging speed limit from OpenStreetMap with Ordnance Survey data using ArcGIS for Desktop? 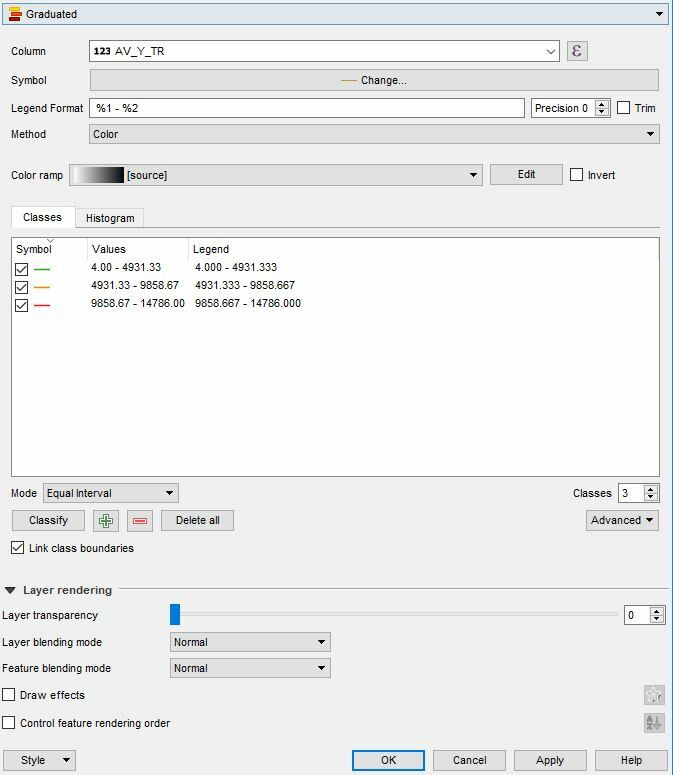 Reclassifying raster layer with certain colors for value ranges in QGIS? 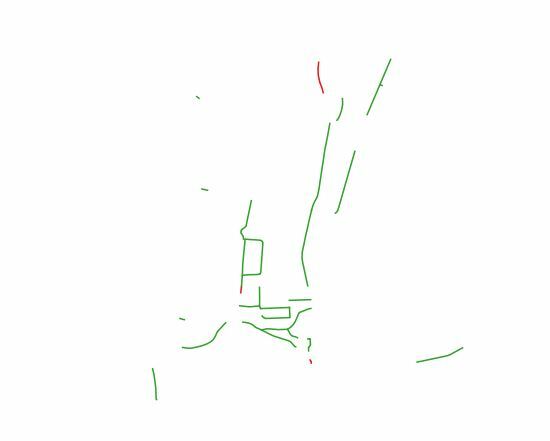 Matching streets in two line datasets with PostGIS or QGIS?